HCA’s David Baker will be part of panel tomorrow (Thursday) hosted by the Hill Country Conservancy focused on developmental trends, landowner perspectives, the effects upon municipalities, infrastructure, groundwater, and most importantly the impacts of this pace of change on residents and the quality of life in Central Texas and the Hill Country. The luncheon program takes place at Green Pastures in Austin. Click here for more information and to make a reservation. Exciting to see The Texas Water Symposium, one of HCA’s partner programs is featured in Volume 1, Issue 1, Story 1. Click here to read the first issue of In the Flow and become a subscriber yourself. Cofer (head of the Hill Country Conservancy) has led the charge to snap up conservation easements in the Hill Country, allowing some private projects, thereby securing legal protection for other open space in perpetuity. Soon, his group will help break ground on Phase 2 of a grand project — the 30-mile Violet Crown Trail that will link the parks and greenbelts in Austin’s urban core toward a spine of Hill Country that arcs across the Barton Springs recharge zone. More from Statesman.com. At some point, the realities of water in Texas will reach a point where it is impossible to lay all of the drought’s harm on someone else. Lawns — and whether to keep them in the face of a protracted water shortage — come into the argument. Read more from Texas Tribune. If conditions continue unabated, the Edwards Aquifer Authority for the first time in its history, will declare Uvalde County to be in Stage 5, thus triggering a 44-percent cut in pumping.” Read full article from Uvalde-Leader News. The 2011 drought was not as impactful as the “drought of record” during the 1950s. In the wake of that terrible decade, Texas embarked on a massive campaign of infrastructure construction to achieve water security. But the situation is different now, and this time we cannot simply build our way out of a water crisis. Read more from Statesman.com. Water: For Thirsty Lawns or Thirsty People? The Texas Water Development Board estimates that 40 percent of all municipal water use is outdoors. Of that, half is lost to runoff from the excessive watering of lawns. This is drinking water that is simply wasted. This is water that could easily be conserved. Read more from HCA’s Milan J. Michalec and the Rivard Report. “Stewardship in Action” by Robin Berry, gives a wonderful recap of our recent Water Symposium and gathering at 700 Springs. “Rural land steward panelists David Langford, Tom Vandivier and Ruthie Russell described how their land management practices help maintain water levels in the beautiful spring-fed Llano River” Read the newsletter and don’t miss the wonderful slide show of pictures! Are we listening to the next generation? 18 year-old Justin Wolfe writes, “The state’s next step ought to be to legislate groundwater as a public resource, so as to manage and regulate it effectively. Only by managing this resource can we ensure the longevity of our water system for generations to come.” Read Justin’s full article here. Significant new funding for water projects in a dry, thirsty Texas moved one step closer to becoming a reality Thursday. The bill, HB 4, would take money from the state’s Rainy Day Fund to start a loan program for new water projects. Read more from State Impact Texas. “The severe drought in Texas and much of the Southwest continues to wreak havoc with the number of monarchs. The conditions have been dry both here and in Mexico in recent years. 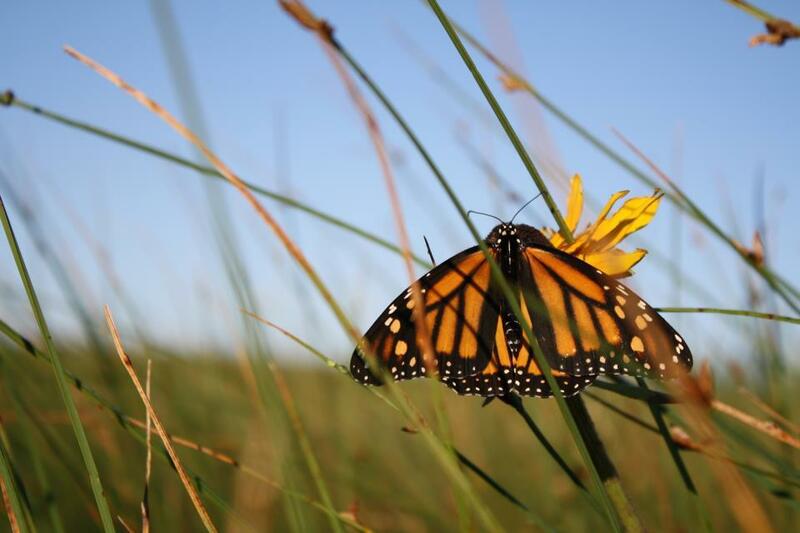 It takes four generations of the insects to make it all of the way up to Canada, and because of lack of milkweed along the way, a lot of them just don’t make it.” Read full article from Texas Climate News. Dwight Peschel, Senior Judge of the 25th Judicial District, has released a letter indicating he is ruling in favor of the Wimberley Valley Watershed Association in its lawsuit against the Hays-Trinity Groundwater Conservation District and Wimberley Springs Partners. Read Full Wimberley View article. The latest Texas Water Symposium (TWS) was hosted by the Llano River Field Station at Texas Tech in Junction on March 8th. The TWS provides perspectives from policy makers, scientists, water experts, and regional leaders on dealing with the complexity and challenges in providing water for Texans in this century. The Junction symposium focused on the vast importance of springs and the connections between groundwater, surface water, science, and stewardship. Read full Junction Eagle article. “What we have asked for is simple. That the LCRA take a close look at the concept before authorizing construction of the first reservoir. A committee of farmers and upstream interests should be brought together to see if the idea makes sense, just as the bitter enemies of ranchers and environmentalists eventually came together in the Texas Hill Country to find a middle ground, and to formulate a Win/Win solution to their problems.” Read more from CTWC President Jo Karr Tedder. Texas’ Water Future: What if it isn’t there – or it’s too costly? Seeing our legislature taking a good, long and hopefully, logical look at our State Water Plan and its financing is hopeful. But going for the big, expensive and glamorous water projects will often cause more problems and not reduce our appetite for what is now more precious than gold, oil or gas—water. Read more from Mike Mecke in Ranch & Rural living here. Sometimes its what you don’t see that is really impressive. Such was the case recently when the Blanco Post Office installed new LED bulbs in the recently replaced carriage lights on the front of the Post Office building. The bulbs that originally had been installed in the new fixtures shined straight out onto the street and caused an irritating white glare for motorists and pedestrians alike. 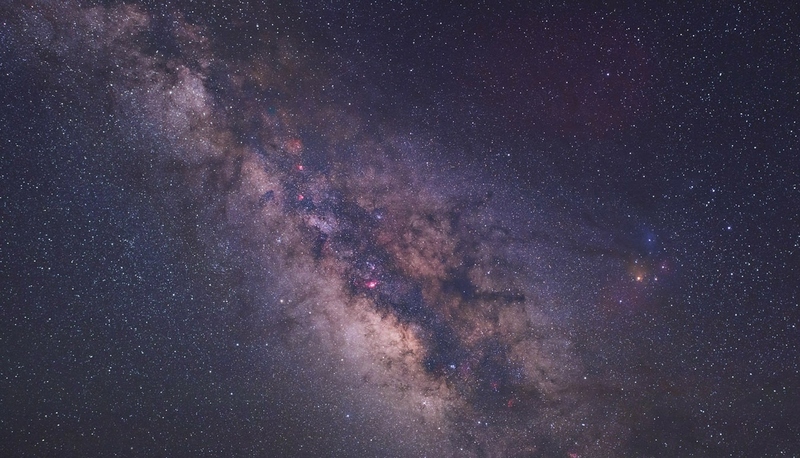 Additionally, because the lights shined above the horizon, they contributed to Blanco’s sky glow. Read more from Blanco County News.